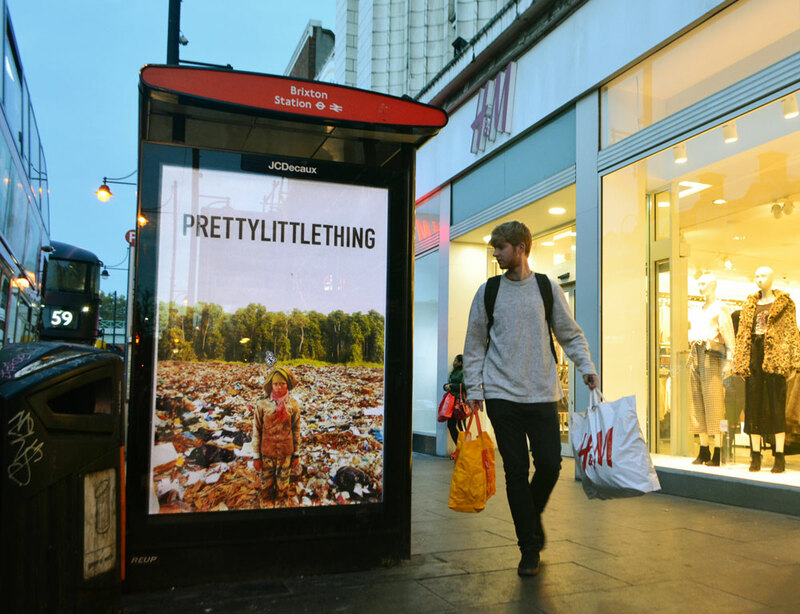 Released on #BlackFriday, Bill Posters’ latest project ‘Waste World’ interrogates the impacts of Fast Fashion and consumer waste with a series of subvertising installations. 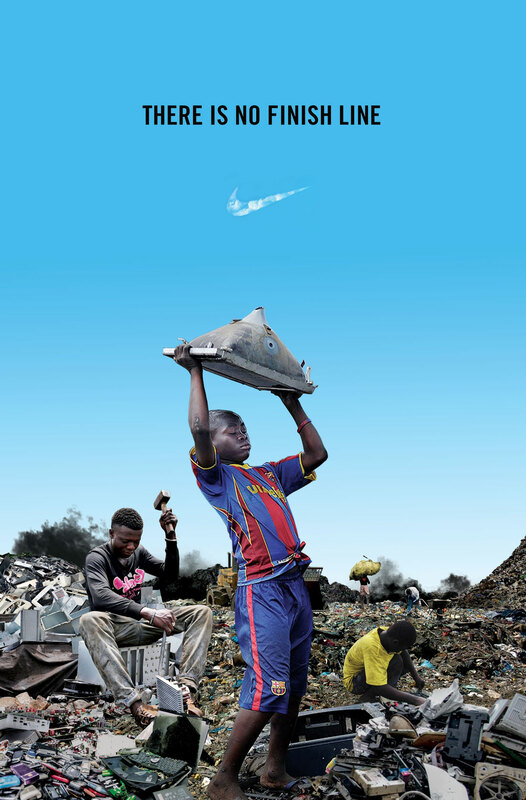 Timed for release on the biggest global retail event of the year, ‘Waste World’ looks at the true impact of the world’s rubbish – from clothes to plastic to e-waste – and those most affected by it. 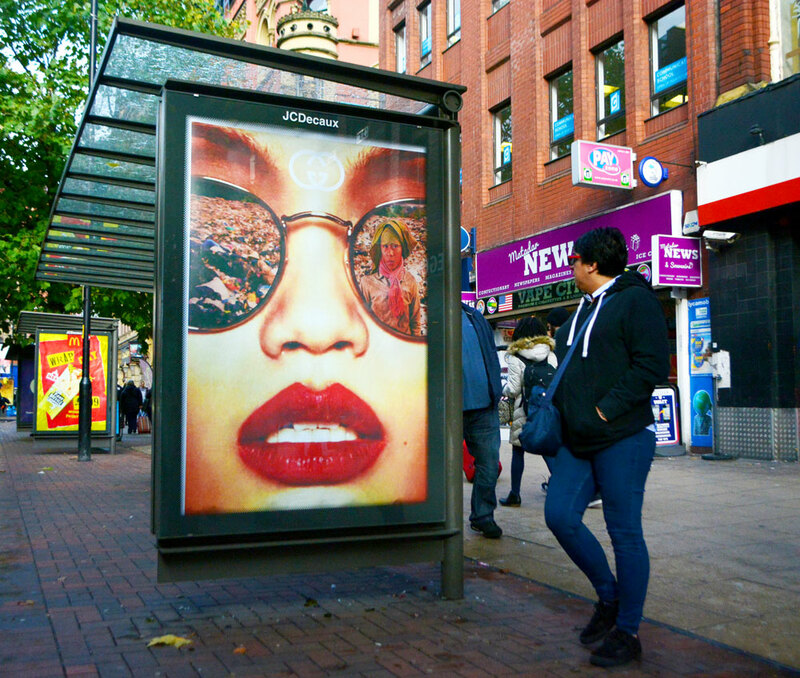 Amidst growing concerns around the impact of the fashion industry and consumer waste, Bill Posters has been subvertising ad spaces to draw attention to the negative impacts of consumer waste and fast fashion. 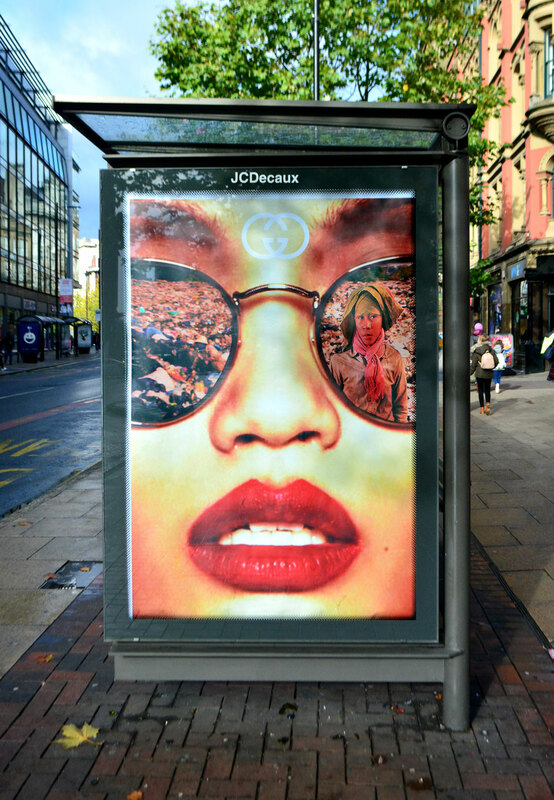 This campaign sees advertising spaces to become a lens through which we can all view the profound social and environmental impacts of consumer waste in countries and communities hidden from view. 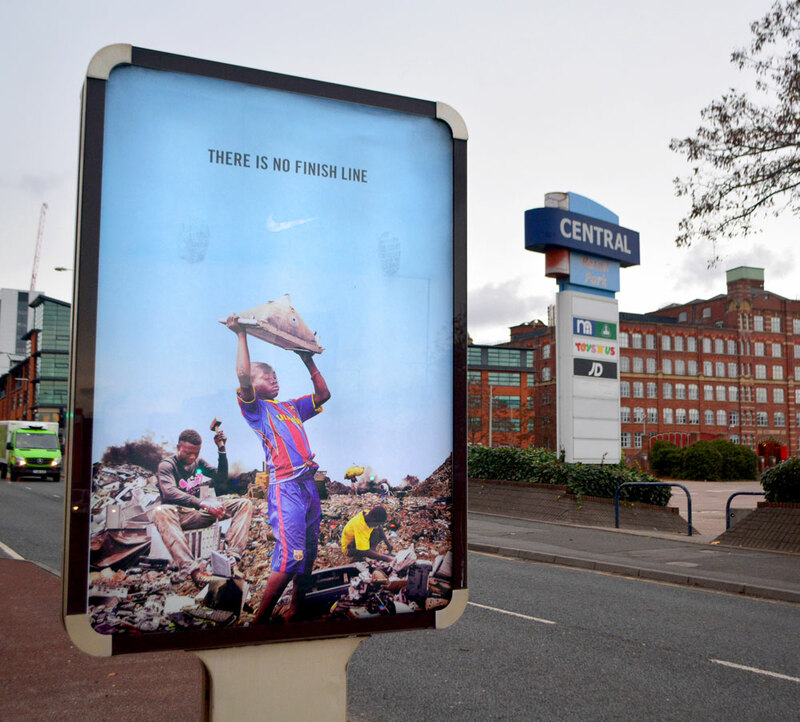 Inspired by New Internationalist’s latest issue on Waste, the street art installations take aim at brands including Nike, Pretty Little Thing, Apple and Gucci and reveal where large amounts of waste and ‘recycling’ from the western world actually ends up. “Instead of getting beaten up this Black Friday in shopping malls for a new TV we should probably be paying more attention to where the majority of our ‘recycled’ waste actually ends up. In low-income countries, 93% of global waste is dumped due to inadequate urban provisions. Western countries can’t process their own waste, instead – they sell it to other low-income countries in Asia and Africa. 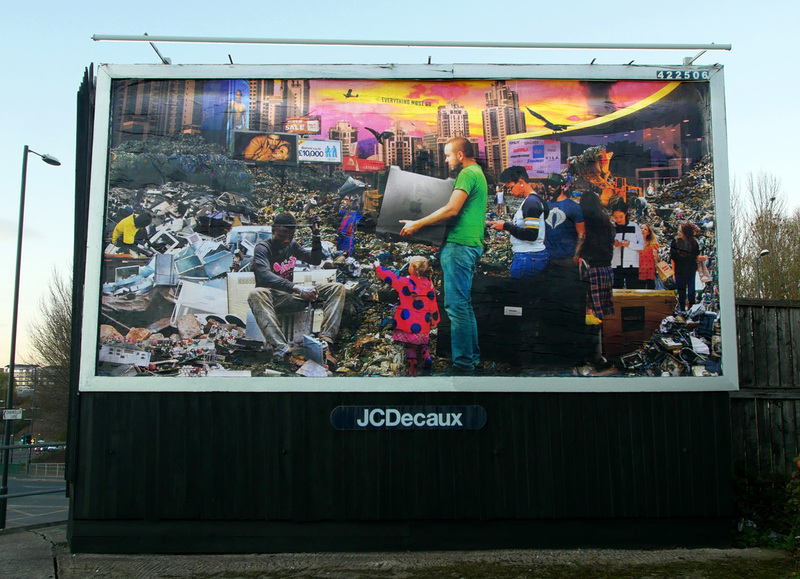 It wreaks of colonialism, we are literally taking a dump on millions of less privileged people with our waste” says Posters. 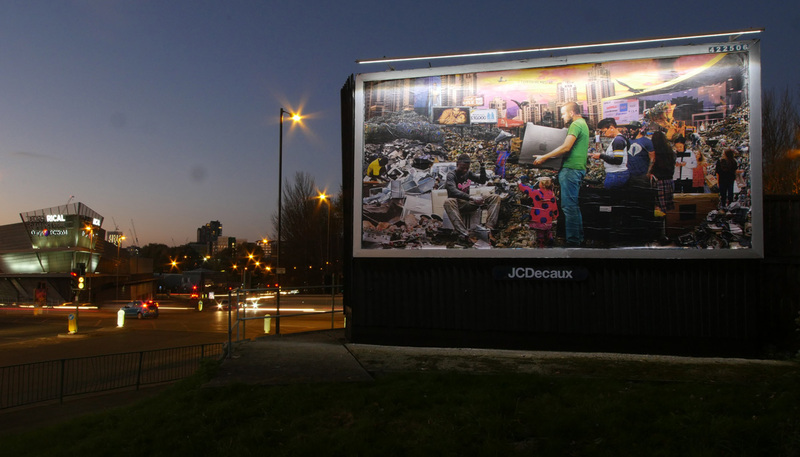 One of the pieces of subvertising installed on a billboard outside a discount electronic store in Manchester features a photo-montage of young people from the world’s most infamous electronic waste dump – Agbogbloshie in Ghana, west Africa. A place where young men like Alhassan (seen seated on the LHS) eke out a living mining old computers and car batteries for raw materials. 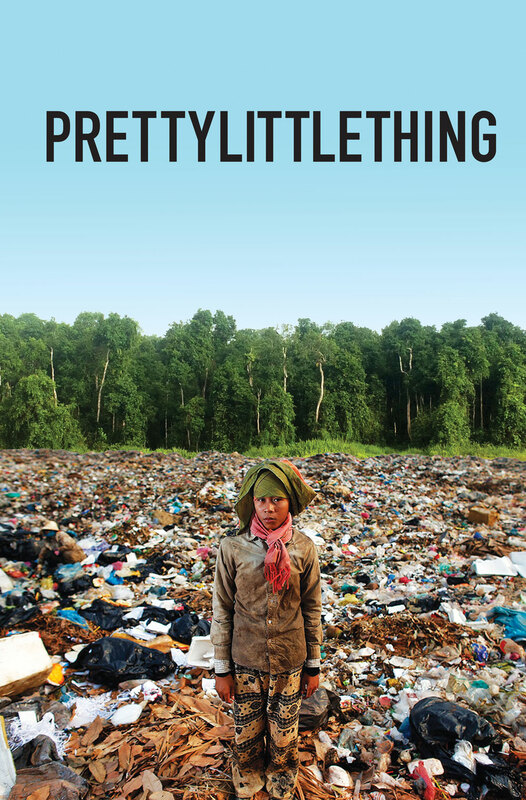 Over 15 million people around the globe – the majority women and children, earn their living as waste pickers, literally sifting through westerners waste to earn a living.